Business card maker software designs professional business cards, visiting cards and loyalty card easily. Software allows users to generate and print multiple business cards using its batch processing feature. 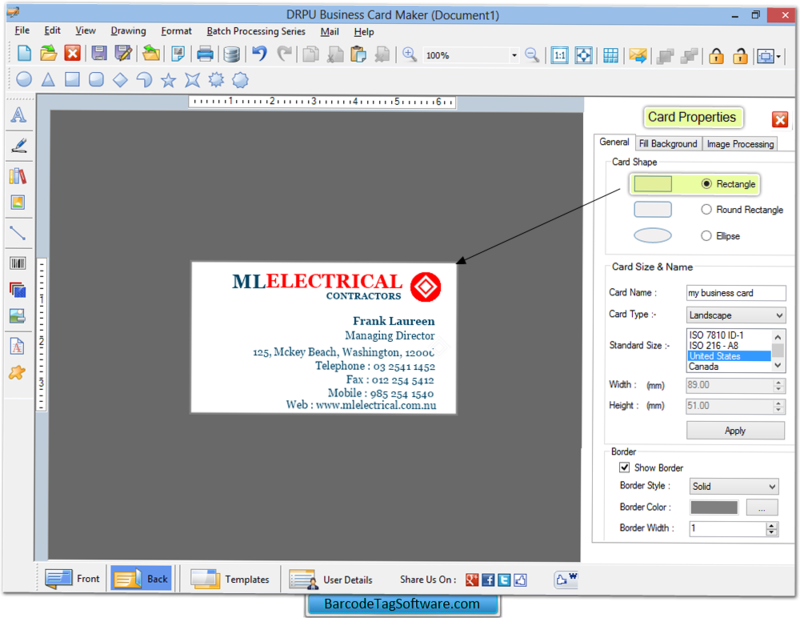 Business card maker software can create various style business cards (visiting card). Software provides advanced card designing view with different designing objects. Create business cards in multiple shapes including rectangle and ellipse shape. Easily create or modify existing card image or create new business card image. Print colorful business card with photo adding feature.